Dr. Pascal van Lieshout is professor and chair at the Department of Speech-Language Pathology at the University of Toronto. Dr. van Lieshout is also the Director of the Oral Dynamics Lab. His areas of expertise include dynamical systems theory (DST), and the use of DST to study speech and oral motor control in healthy and clinical populations. 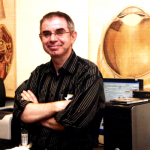 Click here to access Dr. van Lieshout’s ResearchGate profile. 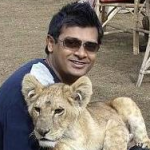 Dr. Aravind Namasivayam is a consultant research scientist with the PROMPT Institute, Santa Fe, NM. He also holds an adjunct faculty status at the University of Toronto. 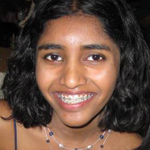 Dr. Namasivayam’s current clinical and research interests include developmental speech sound disorders, stuttering, sensory-motor integration, and motor skill learning. Nicole Durham is currently in her final year of PhD at the Rehabilitation Sciences Institute. Her research investigates the impact of threat on cognitive processing following a traumatic brain injury. She completed her Honours Bachelor of Science (with Distinction) in Psychology (specialist program) at the University of Toronto. She is interested in topics related to mental health, brain injury and neuroscience. Her hobbies include collecting shoes, handbags and statement jewelry. In her spare time, she loves to watch movies, trying new restaurants, and organizing storage spaces. Claim to fame: Meeting Bobby McFerrin (the guy who sang “don’t worry, be happy”) and took a picture with him. 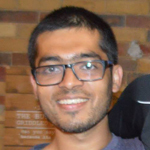 Rohan Bali is currently a Master’s student studying the relationship between acoustic and kinematics, and predictions from one domain to the other. He is interested in Neurocomputational modelling of speech and is currently working on the implications these models of speech production. Rohan also enjoys soccer, cricket, cooking and tea. 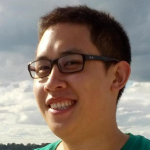 James Le is currently a second-year M.H.Sc. student in the Department of Speech-Language Pathology. He also served as the Lab’s Research Officer from 2011 to 2013 where he conducted experiments with the AG500 and AG501 EMA systems. 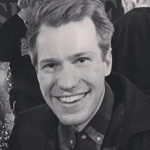 James’s interests include using technology and biofeedback in the assessment and treatment of speech, language, and swallowing disorders. James enjoys cycling, travelling across southern Ontario, and speaking his other languages, French and Vietnamese. 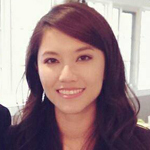 Stephanie Wong is a M.H.Sc. student in the department of speech-language pathology. Stephanie is interested in cross-modal modulations of speech perception, and is currently examining the quality of statistical reporting. Stephanie also enjoys exploring the city, trying new recipes, and playing volleyball. 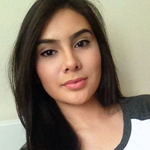 Anna is currently an undergraduate student studying Psychology and Linguistics. She is interested in speech-language pathology, and is currently working on the Motor Learning study in adults who stutter. Anna also enjoys playing piano and photography. 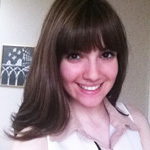 Francesca is currently a Cognitive Science and Linguistics undergraduate student at the University of Toronto. She is interested in treatment approaches and outcome measures used in motor speech disorders, and is currently working on how treatment change is measured in developmental motor speech disorders. Francesca also enjoys volunteering with adults with communication disorders, meeting new people, and music. Kayla Morris currently assists with Nicole’s TBI study which investigates how threat impacts cognitive processing. Kayla is interested in oral motor control, rehabilitation and linguistics and aims to become Speech-Language Pathologist. In her spare time, Kayla enjoys singing, shopping (of course), reading with a cup of tea and watching videos on YouTube. 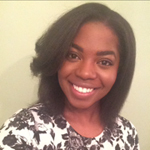 Michelle is currently an undergraduate student specializing in neuroscience and majoring in linguistics. Michelle is interested in dynamics of speech and motor system and the language network of bilingual brain. 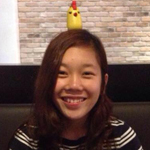 She is currently working on EMA dual task study and BIT/CSIM speech intelligibility study. Michelle also enjoys exotic cuisine, manga and adventures. Neil Fletcher Hoving will be completing his Hon. BSc. in Linguistics and Neuroscience from the University of Toronto this Spring. Neil is interested in the neural bases of child language acquisition. He is currently working on a BIT/CSIM speech intelligibility study. Neil enjoys reading books, attending concerts, and all things Star Wars. Sara Pearsell has completed her Honours Bachelor of Arts undergraduate degree at the University of Toronto: Specialist in Psycholinguistics. Sara is currently interested in becoming a Speech Language Pathologist or continuing on in Research, and is currently working on a speech study using the Electromagnetic Articulograph 500 (EMA 500). 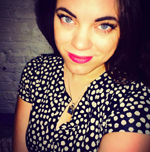 Sara also enjoys reading, creating art, riding her bicycle as well as having brunch. 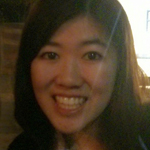 Tina Yan is currently a student Respiratory Therapist at the Michener Institute for Applied Health Sciences. 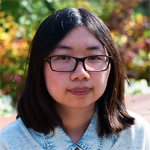 Tina is interested in cross-modal priming of spoken words, and is currently examining the quality of statistical reporting in developmental disability journals and cross-modal tactile repetition priming and auditory open-set word-recognition. Tina also enjoys baking desserts, playing racquet sports, and taking landscape photos. 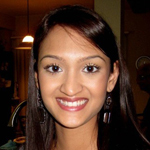 Vidya David is currently an undergraduate student studying Linguistics and Neuroscience at the University of Toronto Scarborough campus. She is interested in the neural correlates of sentence processing and production. She is currently working on the EMA dual task study at the lab. In her free time, she enjoys learning about various historical periods and listening to music. Vina will be receiving her Hon. BSc in Neuroscience and Linguistics from the University of Toronto this coming spring. She is interested in speech perception and brain activity associated with speech motor impairment. Vina is currently working on a speech motor assessment tool in children with SSD and manages the lab website. 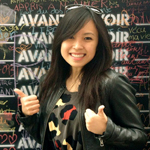 In her free time, Vina enjoys zombie movies and restaurant hopping in Toronto.